They drilled a hole in my finished basement wall. They put a hole in my finished basement floor. I have a gaudy white pipe extending the height of my house. And, worst of all, they will be paid over $1000 to do this! Is the radon mitigation system worth the cost? Is it worth the ugly pipe on the side of the house? Remind me again, why are we having the radon system installed? Is Radon that big of a deal? Radon is a cancer causing radioactive gas that cannot be seen or smelled. 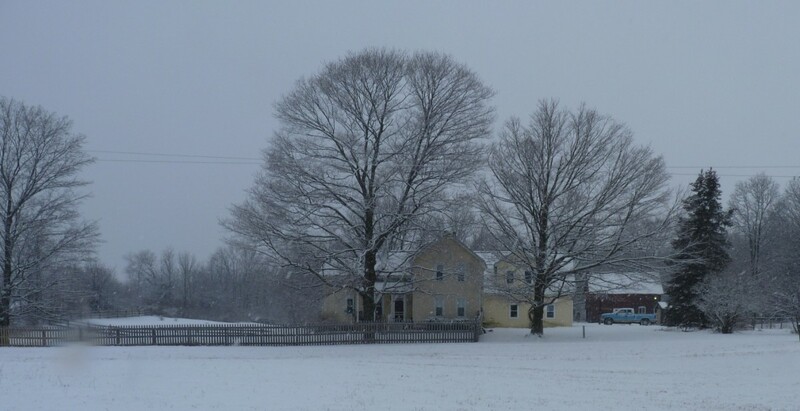 In the United States, radon is most often created by the soil. The house can draw the radon from the soil into your home. Radon has been found to be the second leading cause of lung cancer taking over 20,000 American lives each year. We have five little kids, not to mention our health to consider. Radon is a big deal. It is good to understand where radon levels are in your home. If you are purchasing a home, the installation of the radon mitigation system can be included in the request to remedy. In other words, the sellers will pay for the mitigation system installation and greatly reduce your family's exposure to this harmful carcinogen. We recently sold our home and purchased another. During the home inspection, our Realtor told us that we should have the house evaluated for radon. 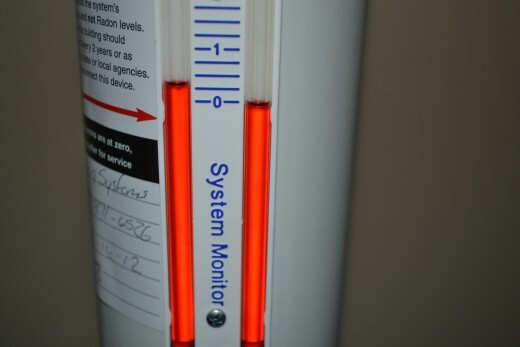 As part of the home inspection, a meter was placed in the basement for two days. When the meter was read, if the test average came back above the US EPA action level of 4.0 pCi/L, mitigation is recommended. Our test came back with an average of 21.5 pCi/L. We requested the sellers pay to have the radon mitigation system installed. They agreed. RadonAway 23030-1 RP145 Radon Mitigation Fan, 4"
All crawl spaces need to be completely emptied prior to radon system installation. The sump pump will be capped and then sealed. Radon gas can escape from the sump pump as well. 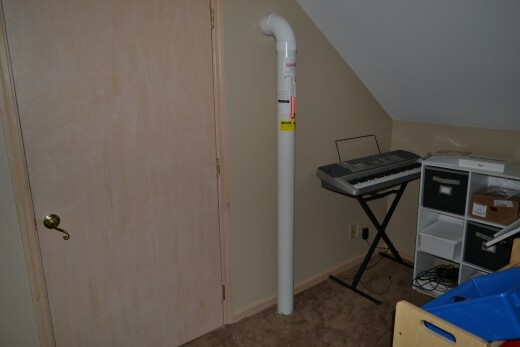 Large white PVC pipes were installed in all crawl spaces. Each PVC pipe was attached to the fan line which pulled the radon out of the house. The pipe that needed to be drilled into the basement floor was dug five inches deep. Our basement foundation is surrounded by tile. Multiple holes were drilled into the tile. This pipe will draw radon gas from around the basement as well. An electrician wires the fan attached to the system to draw the radon out of the house and out the top of the house. All crawl spaces were lines with plastic wrap and attached with an adhesive at least one foot up the concrete block. This will keep additional moisture and radon out of the crawl spaces. Is Your Radon System Working? 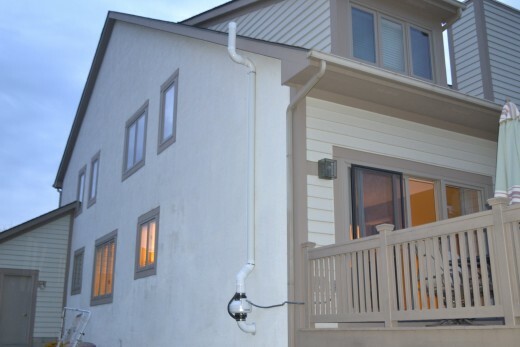 Does your house have a radon mitigation system? Does your Radon System Work? Prior to leaving, the installers explained how the system works and how I know that it is not working. If both numbers are at zero, we have an issue with the system functioning properly. Is the line attached properly? Is the power to the radon system fan on? Did a fuse blow associated with the radon system fan? If all three items are ok, then call Radon system installation company. Our radon system is under full warranty for five years. You can call the Radon Fix-It Line at 1-800-644-6999 between noon and 8 p.m. EST/EDT Monday through Friday, for information and assistance. This toll-free line is operated by Consumer Federation of America, a nonprofit consumer organization. What are the Radon Levels in your House? After installation, another meter was placed in our basement. After forty-hours, the meter will be read and we will see what the average radon levels are in our basement after the system was installed. Statistics on exposure to radon are astounding. For the amount of time we plan to spend in the basement, having the radon system in place is a good safety precaution. Do you live in a house or are you looking to purchase a new home? Contact your local radon mitigation installation company to see how much to test your radon levels. The company we used will conduct the test for free. Get your house tested. Rest easy knowing your family is safe. Python Installation Issue And Resolution On Redhat Linux. Billy, for myself, I figure that there is no sense ignoring a known fact about radon, especially when it comes to my children's health. I was annoyed at the time it took, but overall, I am pleased that we decided to have it installed. Hope your house is safe! very useful information! I had one home that was tested, but the one we are in now has not been tested and you now have me thinking about it. Thanks for the great info! What you lack in extra storage, you don't have in extra radon! :) Just a litte something to keep in the back of your mind. Thanks for reading. I remember learning about radon gas in high school chemistry. It seemed really scary, but there aren't really basements in South Carolina, so it didn't personally affect me. I had no idea there were radon mitigation systems to make homes more safe. I will have to remember this if I ever live somewhere with a basement!